The main meeting house (or nakamal) is a feature of just about every village in Vanuatu. The Pentecost style features a peaked ceiling that drops almost to the ground on the sides. 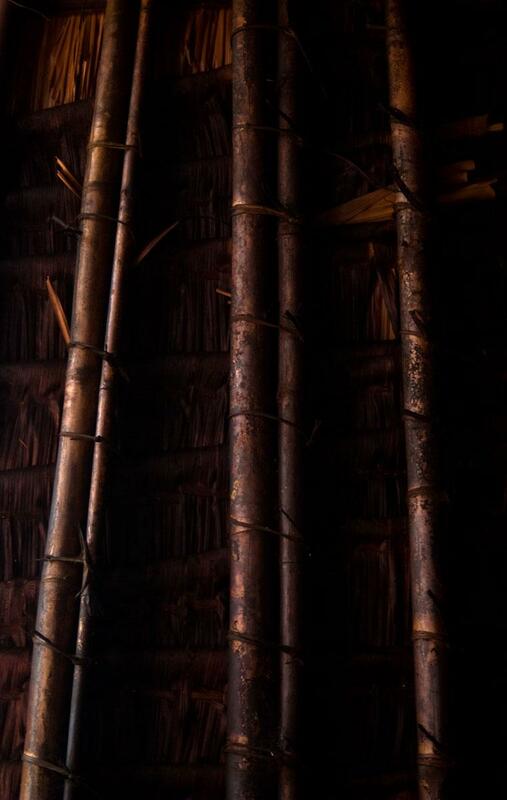 This detail shows how natangura thatch is tied to bamboo poles to provide a remarkably strong - even hurricane proof - covering.